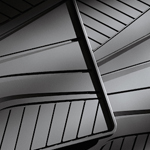 In snowy or dusty areas, rubber mats can reduce your maintenance time. If snow, dust, or dirt drops on a rubber mat, you can eliminate the debris by shaking the padding. Carpet mats stand out in a sporty cabin because they have stylish, plush fibers. Although carpet fibers are thick, they don't track heavy dirt and grime. When debris builds up on a carpet mat, you can remove it with a hand vac. Carpet mats and rubber mats have specific maintenance requirements. If you want to clean your mats quickly, rubber options should be considered as you can get rid of debris on the material without using a vacuum.